Delight your child on their birthday with this surprise Birthday Trip to Disneyland! All text is editable, (except the “Happy Birthday” and “Admit One” text) even the barcode & headings. You can change Disneyland to Disneyworld or Disney Cruise too! Each of the 3 tickets on the page can have a different child’s name. Need more? Edit and reprint as many times as you like. Download your Surprise Birthday Trip to Disneyland Ticket immediately after your payment has been processed. 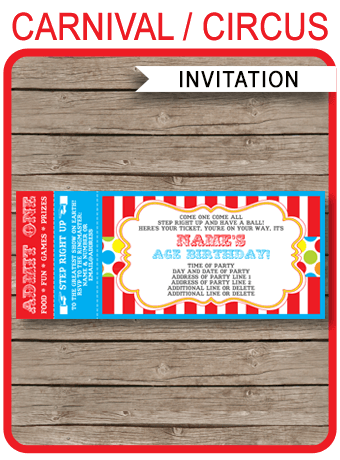 Note you cannot edit the “Happy Birthday” and “Admit One” text on this template. Trim out your Surprise Birthday Trip to Disneyland Ticket on the provided cut lines.